However, some labels can be confusing or even misleading. There are two terms thrown around interchangeably that don’t actually mean the same thing. These are Ethical Trade and Fair Trade. Some labels can be confusing or even misleading. There are two terms thrown around interchangeably that don’t actually mean the same thing. These are Ethical Trade and Fair Trade. Both Ethical Trade and Fair Trade focus on “helping make international trade work better for poor and otherwise disadvantaged people,” according to the Ethical Trading Initiative. But the two movements have distinct origins. Fair Trade began in the 1960s with a simple idea: through commerce, people in the developing world will be able to share the benefits we have enjoyed for so long in North America and Europe. The Fairtrade Foundation’s first products were coffee, chocolate, and tea. Over the years, Fair Trade developed into a market-based approach to alleviating poverty in ways that are social, economically and environmentally sustainable. Their standards are internationally set and cover minimum social, economic and environmental requirements that producers must meet in order to maintain certification. Products bear the FAIRTRADE Mark to show that they have met these requirements and are joining with the organization in efforts to encourage the growth and improvement of farmer organizations and worker conditions and rights. The Ethical Trade movement kicked off 30 years later in the 1990s. Campaigns and media exposés brought attention to harsh working conditions in factories producing clothes, shoes, toys, food and other consumables for companies that have offices and factories in several countries - also known as multinational companies. Ethical Trade means that retailers and brands systematically make changes to improve the conditions of the workers throughout their supply chains around the world. Some products will say they are ethically or fairly traded but have no official certification. They might actually be doing good things, or they might just be saying that they are. Some initiatives apply similar or even more stringent criteria than those required for Fairtrade certification, but others may not be so strict. The best way to know the values behind a company is to see how transparent they are in their production. The best way to know the values behind a company is to see how transparent they are in their production. Rather than sourcing from the cheapest supplier in order to increase profits, large-scale companies can use their purchasing power to influence better practices with their supply chain. Some companies, like Starbucks and Trader Joe’s, focus on Fairtrade products because they know their customers will continue to shop and might even be encouraged to buy from them as opposed to their cheaper competitors. Other examples of Fairtrade companies are Krochet Kids, Patagonia, Lush, People Tree, Honest Tea, Boll & Branch and Ben & Jerry’s, according to End Slavery Now. That being said, not all ingredients and products from these companies are necessarily included in Fairtrade. If you’re curious, Fairtrade America has a list of official Fairtrade products. It is encouraging to see business begin to shift their focus to offer fairly traded products. 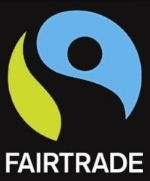 Estimated retail sales of Fairtrade International products has grown globally from 830 million euros in 2004 to about 5.9 billion euros in 2014. If my calculations are correct, that is a sevenfold increase! Estimated retail sales of Fairtrade International products has grown globally from 830 million euros in 2004 to about 5.9 billion euros in 2014. The Ethical Trade Initiative (ETI) is comprised of companies with thousands of suppliers, international trade union bodies, specialized labor rights organizations and development charities. Its members follow their Base Code of Labor Practice, which is based on the standards of the International Labor Organization. Companies within the ETI include supermarkets, fashion retailers, department stores and suppliers to retailers. Most ETI companies are based in the UK, but they also have members in Australia, Germany, Spain, Sweden and the US. 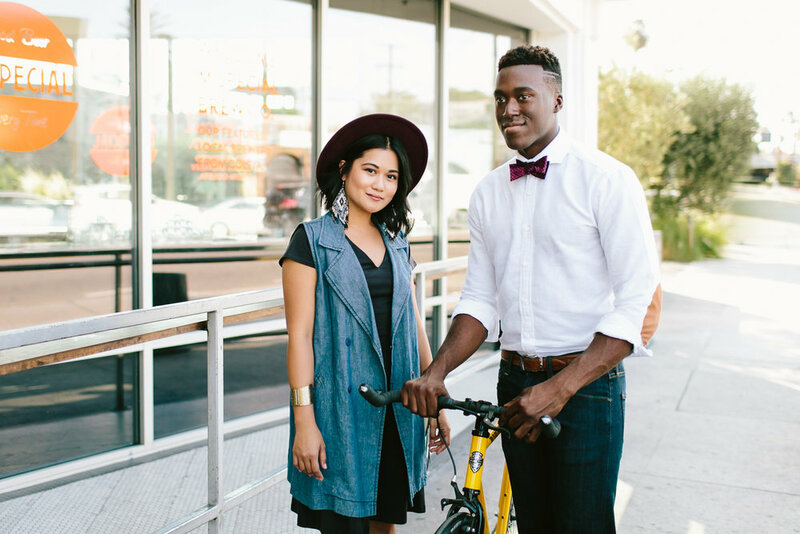 Some of those companies are Burberry, Gap, H&M, Marshalls and Men’s Wearhouse UK. You may know that some of these don’t have the best reputation and have reportedly used slave labor, and yet they are part of the ETI. This illustrates how the ETI is a start but does not necessarily mean that a participating company is above reproach in all of their practices. The initiative’s vision is “a world where all workers are free from exploitation and discrimination and enjoy conditions of freedom, security, and equity.” Note that this is their goal and not a requirement for membership or certification. In my understanding, there may be Fairtrade ingredients combined with not-as-fair-trade ingredients or just a few Fair Trade products in a huge corporation’s line. There are also companies who claim to support ethical trading but may not always practice it at every level, at least not yet. For example, cotton products with the FAIRTRADE sticker sell very well, but the mark applies specifically to the cotton growing stage and not the other stages of production. It is entirely up to companies selling those products made with Fairtrade cotton to take responsibility for improving conditions and promoting respect for the rights of all the workers involved in every step of the supply chain. A Fair Trade certification means that the work has already been done, while membership in the Ethical Trade Initiative indicates a dedication to do better. In summary, Fair Trade is specific to products or even ingredients, while Ethical Trade tries to widen the scope to the entire process. A Fair Trade certification means that the work has already been done, while membership in the Ethical Trade Initiative indicates a dedication to do better. The best thing to do is continue buying fairly traded products as much as possible and encourage ethical trade companies to include more fairly traded products.